After only a 25-minute drive from Tallinn city centre, you can sit in a boat taking you to enjoy the most wonderful natural experience – an up-close encounter with seals, the largest mammals of the Baltic Sea. Having lived in the Baltic Sea for 10,000 years, the seals have been both a nuisance and a source of income for the people living on the Estonian coast. The so-called hairy fish destroyed fishermen’s nets and catch, but then again, they were also caught by local seal hunters. Seals provided sealskin, meat and fat that all came to find good use in the households. The skin was used to make footwear and clothes, the meat was boiled with potatoes or smoked, salted and dried. Historically, seals were hunted in winter on ice with men spending weeks on the sea. They brought bread, salted meat and potatoes with them and food was prepared on the sea in one large pot. They used fresh seal meat to cook soup, the meat of a grey seal pup was considered the best. Seal hunters and fishermen wore sealskin boots reaching up to hips that were lined with cowhide or horsehide soles impregnated in seal fat and tar. The man who shot the seal got the flippers to make good new footwear. As today the seal habitats have considerably decreased, seal hunting is largely forbidden. It is only allowed on the Estonian island of Kihnu where it is part of the cultural heritage under UNESCO protection. Seal watching, however, is strongly encouraged, especially as the curious hairy fish will quickly come to check the visitors as well. The trip takes about two to three hours, including an hour for the seal watching. You may see up to twenty seals at a time relaxing on the rocks. We will treat the seals to classical music, talk about the small islets on our way and also given an overview of the present situation of the seals in Estonia. We will set sail at a small harbour only a 25-minute drive from Tallinn city centre and in about an hour we will reach the seal watching area near Malusi islands. Seal pups are born in late February or March. Therefore, the trips are taken in summer and autumn when the pups are large enough to swim. 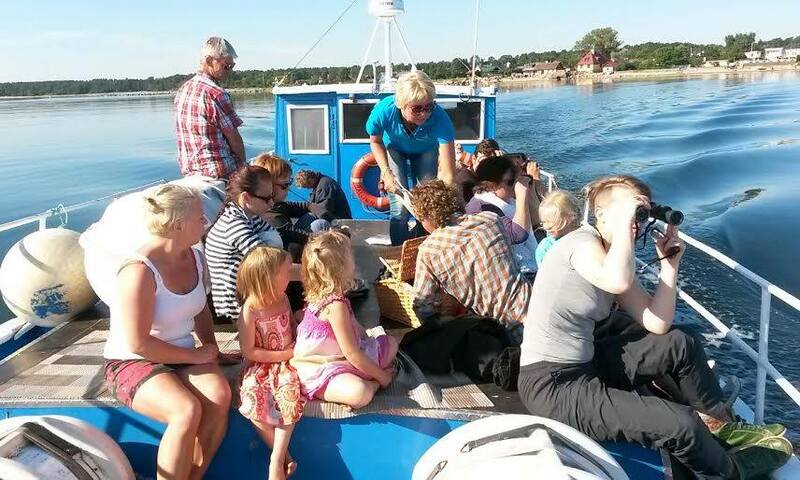 The group size is 6-30 people and the trips are organised in both Estonian and/or English. For further information, contact Go Travel consultants!